﻿﻿﻿﻿﻿﻿﻿ The eagle releases last Saturday were a resounding success. Each eagle soared into the sky and soared and soared... 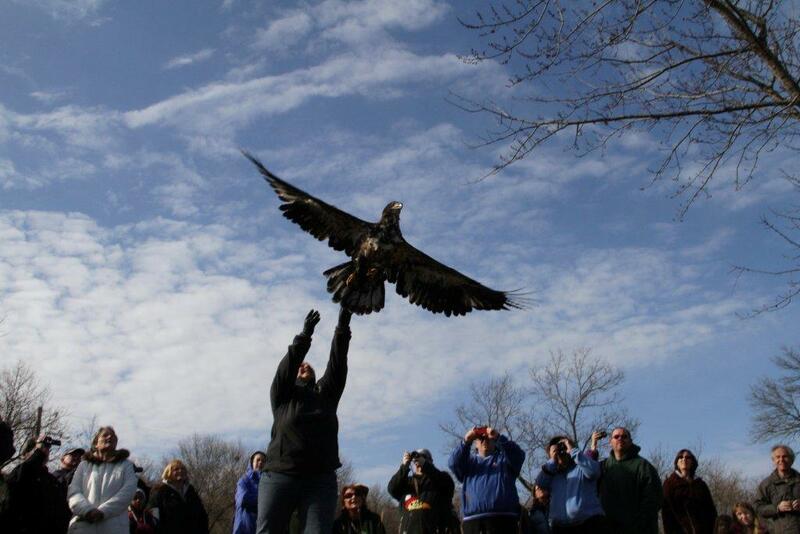 It was exactly what we like to see when we release there magnificent birds. 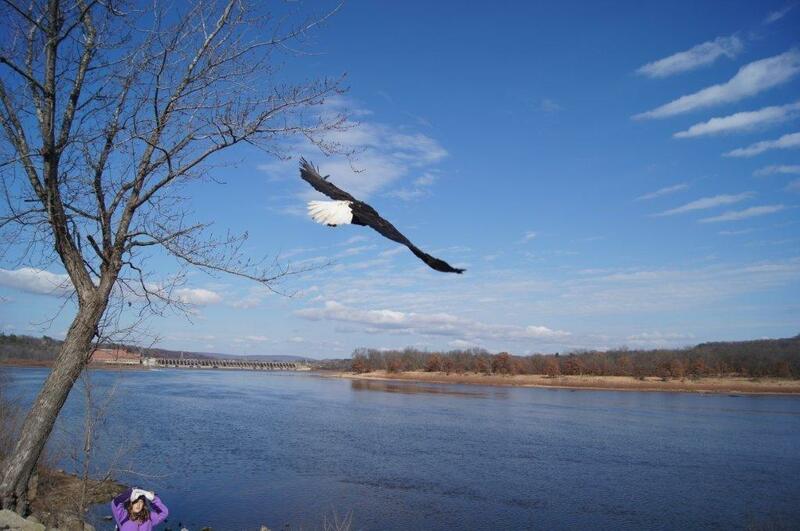 Enjoy the following photos as each bird regained their freedom. This magnificent adult female Bald Eagle had the highest blood lead level of any eagle we have ever worked with. The fact that she recovered 100% is miraculous. She was dealt a difficult blow by humans through the lead exposure. We hope the remainder of her life is peaceful and trouble free. The adult eagle is about to feel the wind of freedom for the first time in several months. She is focused and well aware her captive status is about to change. There is nothing more beautiful than a former patient flying free once again. We at REGI are honored to have helped her regain her health and to give her a second chance at life. 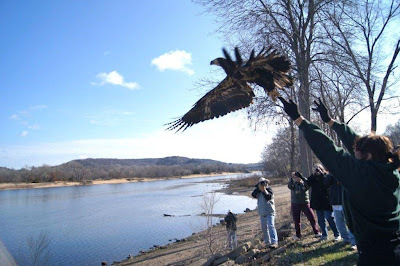 This young Bald Eagle was found by a family from Iowa while spending time in Northern WI. 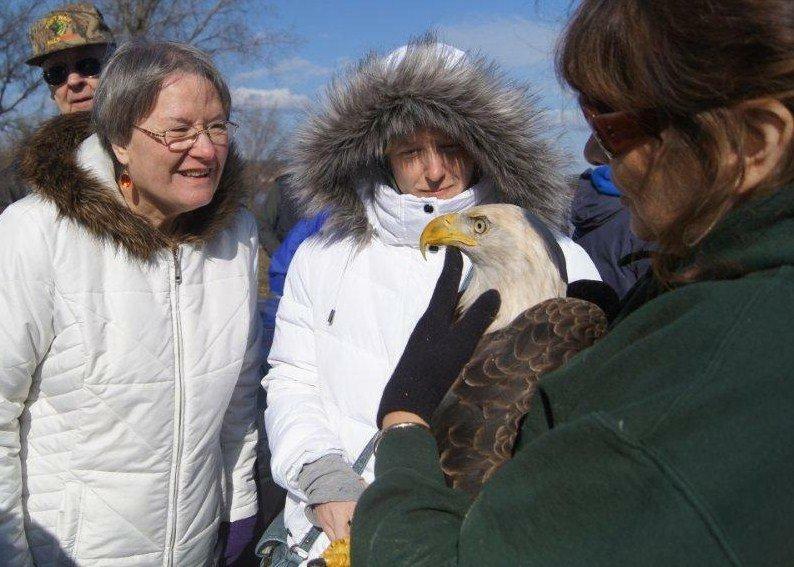 The eagle was caught in a snare. He had been there for some time and was starving and suffered from lead poisoning. We were delighted the entire family could be there for his release back to the wild. 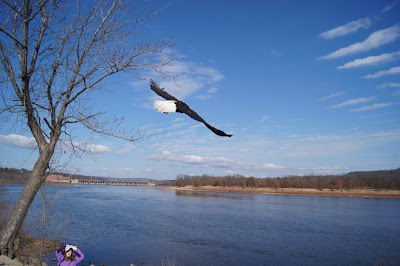 Photo by Bill Michaels....Female immature Bald Eagle takes to the sky after recovering from a wing fracture. And he is off to reclaim his place in the natural world. 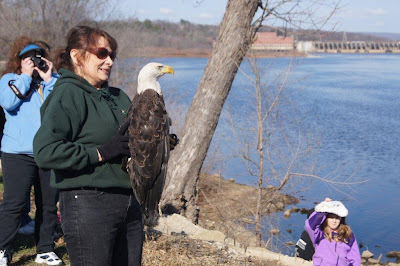 This young eagle flew and flew in circles and loops and was so enjoying his freedom. Stay safe little one. 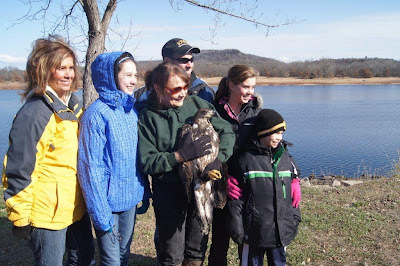 Release is always the best part of doing wildlife rehabilitation. People ask us if we will miss these magnificent patients. The answer is a resounding "NO". We certainly will think of them and wish them well, but seeing them fly free and in good health is our success as rehabilitators as well as the success of our patients.